The USGBC South Florida Chapter provides educational programming for everyone in the green building community. Whether you are an industry professional new to green building, just working on a green project, pursuing LEED credentials or continuing education credits, or if you simply want to stay informed, our USGBC workshops and Branch programs are ideal for you. we think about designing, constructing, operating and maintaining our buildings. 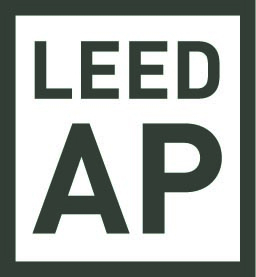 Achieving a LEED credential signifies that you are amongst the most qualified, educated and influential green-building professionals in the marketplace. In 2014, the USGBC South Florida Chapter will be offering the lowest prices for the highest quality LEED education offered by anyone in the region. By being a member of our nonprofit organization, not only will you save monies and secure your credential of choice and all of your CEs and CEUs, but also all of the terrific benefits of local USGBC membership. Check back here or our master program calendar for details of upcoming workshops and online education opportunities. While Edu-Casts featured by the South Florida Chapter are in-person viewings at the posted venue, you can still learn and grow your green-building knowledge online, anytime, anywhere by visiting Education@USGBC. There is a modest cost associated with such access, but there is an exceptional (and growing) selection of courses that we, as a local Chapter, are not able to offer simply because of time and capacity. Our parent organization has done an outstanding job of creating this new platform for green-building education, and we encourage you to check out the offerings at the link above. GBIG is a global innovation platform for exploring and comparing the green dimensions of the built environment. The USGBC's GBIG is the premier search engine for green building data. GBIG provides tools that allow project teams, portfolio managers, investors, product manufacturers, researchers and the general public to discover green buildings around the world, generate insights and accelerate market transformation. GBIG is organized around activities (projects at or within a building), buildings, places, strategies and collections. Users can navigate this incredible resource through these main areas, browse featured content, or simply enter keywords into the search. The USGBC South Florida Chapter is proud to announce a new training partnership with Everblue. This collaboration provides Chapter members the opportunity to explore green-building concepts through education and professional-development training -- both in person and online. To register and learn more, click here. To review the press release announcing the partnership, click here. It is with grateful appreciation that the USGBC South Florida Chapter and Everblue thank Trane of South Florida for their sponsorship of our LEED educational offerings. To learn more about this longtime, outstanding supporter of the Chapter, click on the Trane logo above.